This week has felt like a rollercoaster for investors. On Monday, the Dow Jones Industrial Average plummeted by more than 260 points. It recovered about 150 of those on Tuesday, only to give almost 140 back right back yesterday. And today the market’s down yet again. As of 2:45 p.m. EDT, the blue-chip index is down 106 points, or 0.73%. At least some of the market’s volatility appears tied to the fundamentals of the economy. For example, the Department of Commerce reported on Tuesday that housing starts rose 7% in March to a seasonally adjusted rate of 1.04 million. This beat the consensus estimate of economists surveyed by MarketWatch, who expected the latter figure to come in around 917,000. Alternatively, the Department of Labor announced earlier today that initial jobless claims rose last week by 4,000 to a seasonally adjusted 352,000. This was worse than the consensus forecast of 346,000 claims. Beyond these data points, it seems reasonable to conclude that this week’s dramatic ups and downs are primarily related to earnings season. The most notable earnings report this week was Bank of America Corp (NYSE:BAC)‘s, which was released yesterday before the bell. Shares of the nation’s second-largest bank by assets have fallen continuously after the company underperformed expectations. For the week, they’re down more than 5%. Meanwhile, a number of other Dow components announced first-quarter results today. 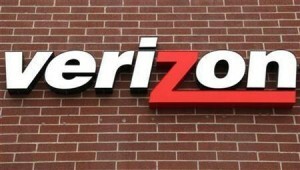 Shares of Verizon Communications Inc. (NYSE:VZ) are leading the blue-chip index higher, up 3.2% after the high-yielding telecommunications company announced earnings of $0.68 per share, topping analyst estimates of $0.66. Credit card issuer American Express Company (NYSE:AXP) is watching its stock climb 1.4% in intraday trading despite the fact that its first-quarter revenue rose less than expected, though its earnings came in slightly above forecasts. And finally, UnitedHealth Group Inc. (NYSE:UNH) is the Dow’s worst-performing stock today, down 4% at the time of writing. While UnitedHealth beat on the bottom line with earnings of $1.16 per share, it spooked investors by lowering forward guidance. As my colleague Dan Carroll discussed earlier, the company decreased its full-year revenue projections to $122 billion from a previous range of $123 billion to $124 billion. The article Why Stocks Are Falling Hard Again originally appeared on Fool.com and is written by John Maxfield. John Maxfield owns shares of Bank of America. The Motley Fool recommends American Express and UnitedHealth Group. The Motley Fool owns shares of Bank of America.